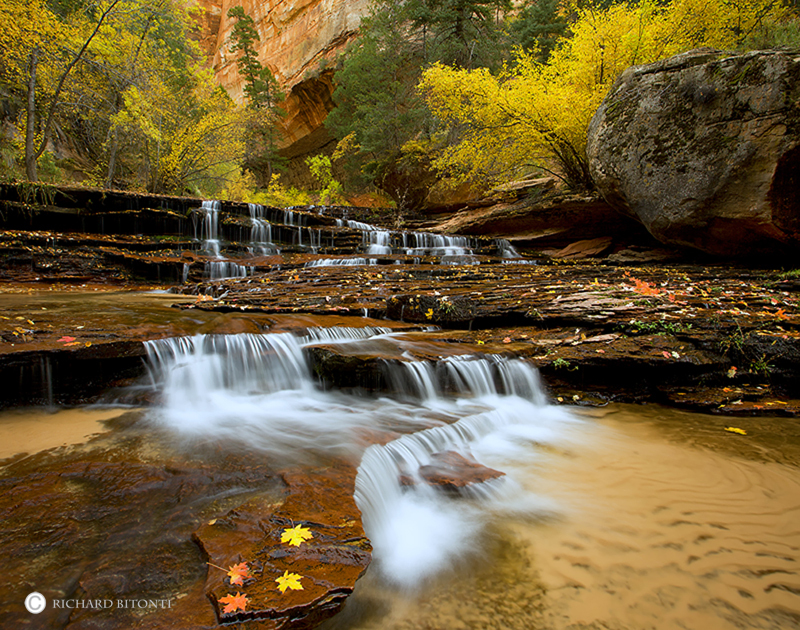 Fall color accents this beautiful cascade deep in the heart of Zion National Park. The Archangel Cascades are a series of cascades sheeting their way down the hard sandstone bedrock as the Left Fork North Creek continues to trickle its way further downstream towards the Virgin River. Photo © copyright by Richard Bitonti.